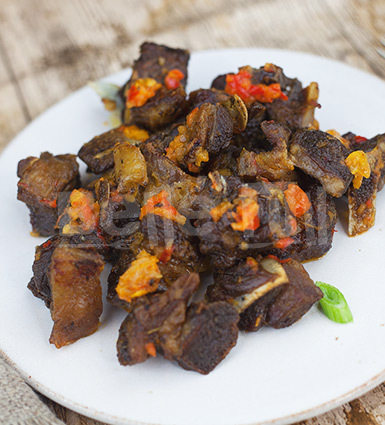 “Asun” is spicy grilled goat meat, cooked on the bone. 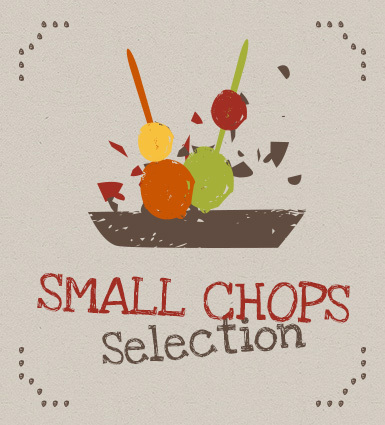 Enjoy as “small chops” or add to any of our rice or beans dishes for a complete meal. It is delivered in BPA-free food pouches ready to go directly in the fridge or freezer, or simply heat and eat! Allergens: May contain traces of nuts, soyabean & seeds. 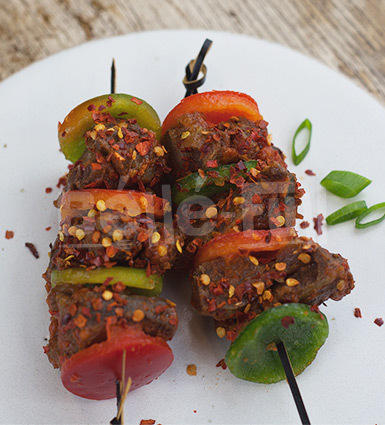 Suya also called chichinga in Ghana can be described as West Africa's version of jerk. 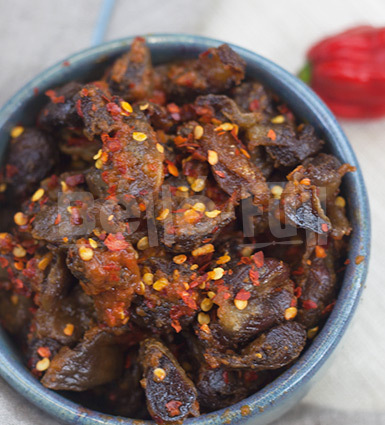 Suya is a peanut & chilli spice used to season meat, fish, vegetables and chicken. 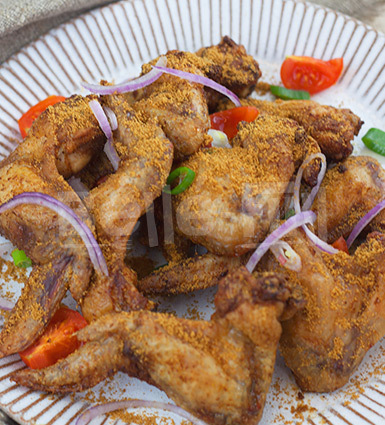 Our chicken winglet suya is seasoned overnight before being grilled to perfection! Allergens: Contains peanut. May contain traces of nuts, soyabean & seeds. 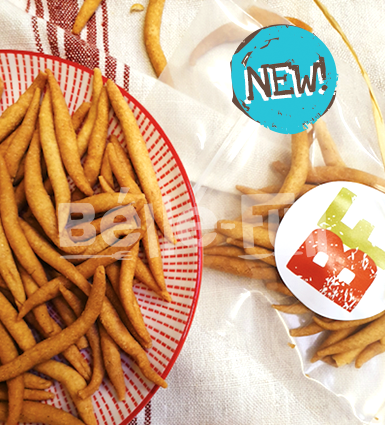 Chin Chin is a popular Nigerian snack and it tastes a little like small pieces of fried cake! Enjoy with a cup of tea or a glass of cold drink. Allergens: Contains gluten, milk, egg. May contain traces of nuts, soyabean & seeds. 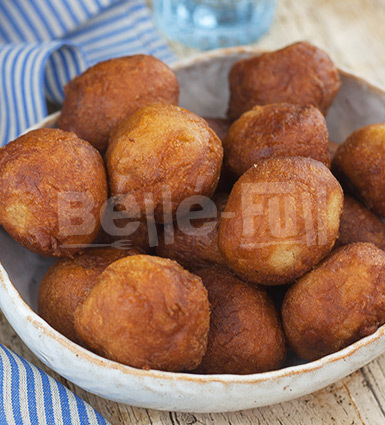 Puff Puff is similar to doughnuts. Heat them for a few minutes in the oven or microwave before eating for an even better taste. This comes with cinnamon sugar. 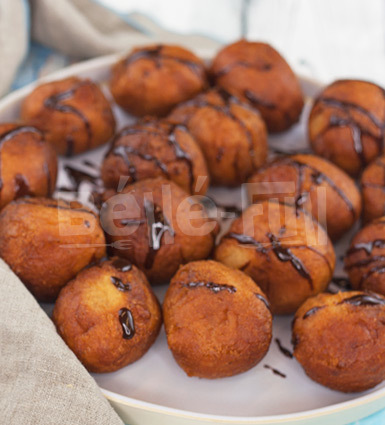 Drizzle the puff puff with chocolate sauce after heating and enjoy! Allergens: Contains gluten, milk. May contain traces of nuts, soyabean & seeds. Puff Puff is similar to doughnuts. Heat them for a few minutes in the oven or microwave before eating for an even better taste. This comes with cinnamon sugar. Toss the puff puff in cinnamon sugar after heating and enjoy! Allergens: Contains gluten. May contain traces of nuts, soyabean & seeds. Fried plantain cubes with mini cuts of turkey gizzard, both served in our spicy chilli relish. This dish is delivered in BPA-free food pouches ready to go directly in the fridge or freezer, or simply heat and eat! 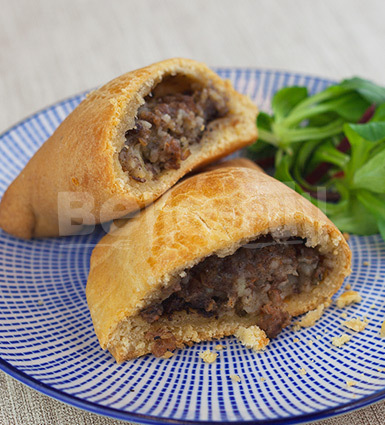 Our meat pie comes with a filling of minced beef, carrots and potatoes. Allergens: Contains gluten, eggs. May contain traces of nuts, soyabean & seeds. 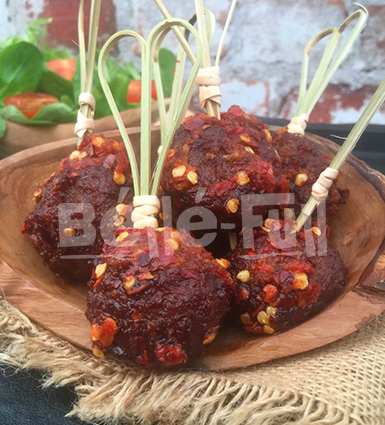 Our meatball lollipops is ground spiced beef, fried and served with our ata din din dip. 'Ata din din' is a Nigerian word for fried peppers. Our ata din din is a bended mixture of red bell peppers, scotch bonnet peppers and onions fried in sunflower oil with spices and chilli flakes. A great finger food especially for those who like the extra kick in their food! It is delivered in BPA-free food pouches ready to go directly in the fridge or freezer, or simply heat and eat! Mr Bigg's was one of the first fast food restaurants in Nigeria and it was known for its Scotch Eggs. 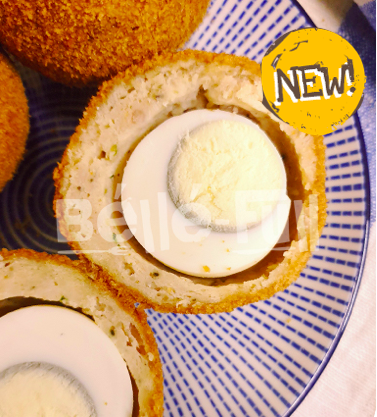 Our version is similar to the Mr Bigg's' scotch eggs with no runny egg in sight! Enjoy with a chilled glass of malt and let us take you back to fond childhood memories. Allergens: contains egg, gluten. May contain traces of nuts, soyabean & seeds. 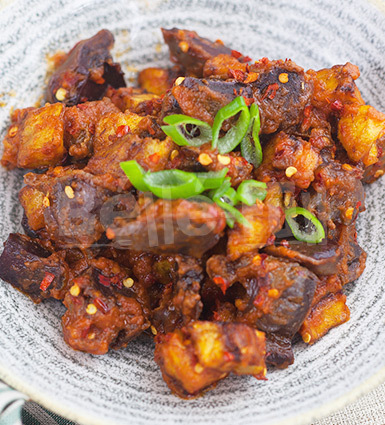 Kokoro is a popular Nigerian snack made from corn flour. It is similar to nachos in texture but sweeter. It is best enjoyed on its own, or you can eat with a selection of dips like you would nachos. Allergens: contains gluten, may contain traces of peanut. Our pastry box allows you to select a mixture of our pies in one box. 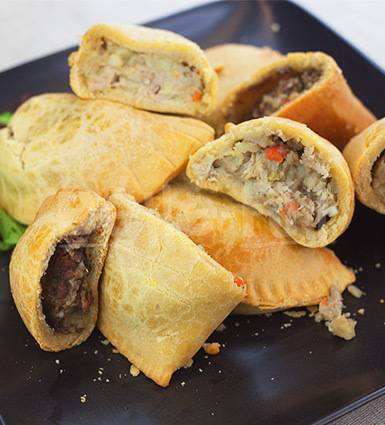 You can add our meat pie and chicken pie in your preferred quantity. You get a selection of any 6 pies. Allergens: Contains fish, gluten, eggs. May contain traces of shellfish, nuts, soyabean & seeds. This is turkey gizzard cooked until very tender, before being lightly fried and coated in our chilli relish. This dish is delivered in BPA-free food pouches ready to go directly in the fridge or freezer, or simply heat and eat! 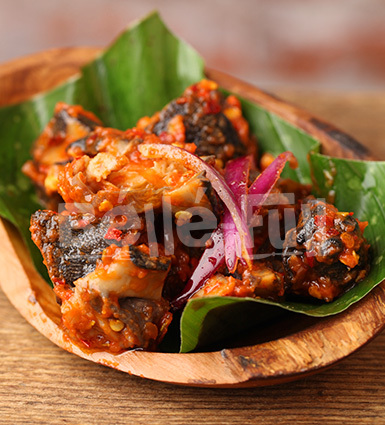 A popular Nigerian delicacy often served as a “beer mate” (finger food served while drinking beer!). They come served in a red pepper, red onions and chilli relish. 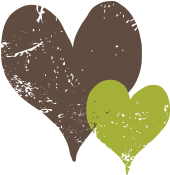 Our meals are delivered in BPA-free food pouches ready to go directly in the fridge or freezer, or simply heat and eat! You will receive 8 pieces of snails to serve 4 people. 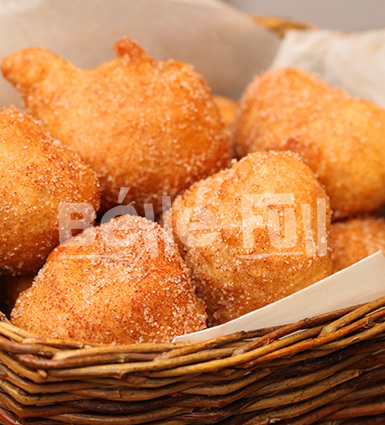 Puff Puff is similar to doughnuts. Heat them for a few minutes in the oven or microwave before eating for an even better taste. Allergens: Contains fish, shellfish, eggs, milk, gluten. May contain traces of nuts, soyabean & seeds. Our stick meat is fried beef chunks in our mixed peppers relish, with grilled red and green bell peppers. This comes on sticks. © 2019 Béllé-Full	- All rights reserved. You earn loyalty points every time you shop with us. Every £1 you spend equals 1 loyalty point earned. 200 loyalty points equals £1 to spend on our site. You will be able to use the loyalty points you have earned after your first order. Place your order as normal, and when placing your next order you will have the option to apply your points partially or fully during checkout. The minimum order amount will still apply to checkout. Place you order online for UK nationwide delivery. 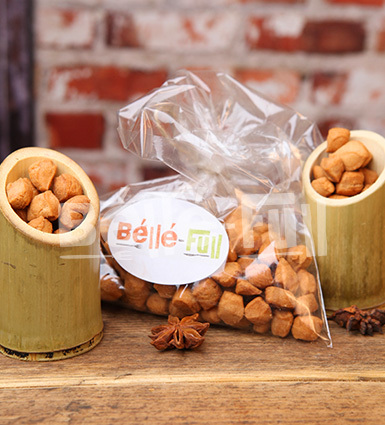 You get 30% off your first order with code BELLEFULL30. If you need help placing your order please use our LiveChat feature for instant support, or call us on 0203 117 7006 to speak to someone. Our meals are cooked fresh and then fresh-chilled for UK nationwide delivery. We use special insulated boxes that keeps the food chilled like a fridge during transit making sure it gets to you in optimum condition. Use our delivery checker to confirm if we deliver to your address. Stock up your fridge and freezer with our meals so all you have to do is simply Heat & Eat! No shopping and no cooking required. We provide quality Nigerian meals, perfectly cooked by professional and experienced chefs, delivered directly to your door! Use voucher code BELLEFULL30 to get 30% off your first order. This voucher is available to new customers only. Place your order online before 10am for next day delivery options during checkout. **Please note**, we do not deliver on Mondays, Sundays, public holidays, and the next working day after a public holiday. For delivery prices and options, please visit our HOW TO ORDER page.